As we reflect on 2011, many improvements were made again at Sandquist Park, with a record number of games played. 703, to be exact. The Cambridge-Isanti Area Softball Association hosted 5 major softball tournaments along with the “Little League” end of the year tournament. We expanded to just shy of 60 teams in our nightly leagues, with a “new” Men’s Fall league. After several meetings with Cambridge Township through 2010 and the Spring of 2011, an agreement was reached to extend the light curfew 15 minutes till 10:15p.m., Monday through Friday. It probably doesn’t sound like a major adjustment, but it did help! We finished most of the building with a large amount of volunteer help. The office is complete with internet access. We added benches in the rest rooms for players that are running late, to change into their uniforms. This website was developed with great help from Gary Larson. We will continue to streamline the process, to make it user friendly. The installation of the scoreboards was also a major accomplishment as they “lit up” ½ hour before the opening games of the Cambridge Classic, June 10th. “Hats off”, to all involved on this project, it was a miracle to see them working by the first pitch! We eluded the storms without major damage, though on July 1st, we lost a few ice cream bars when the electricity went out for a couple days. One of the billboards was never recovered, probably in a cornfield out by Rush Lake! We crowned 6 league champions. The Wizards, Jailbirds, and the Drillers, won the Masters, Women’s, and Men’s leagues, respectively, and Wilcox Chevrolet, The Brick/Lee’s Pro Shop, and TNT Construction, won the fall leagues. The Cambridge Bar & Grill won an action packed Master’s “End of the year” tourney, by upending Big Al’s, in the Championship. As we close 2011, and enter 2012, CIASA and its board members will continue to work diligently to improve our facilities, leagues, and tournaments. We appreciate our great partnership with the City of Cambridge, as we “keep our fingers crossed”for another playing field, or maybe lights on Field 2. 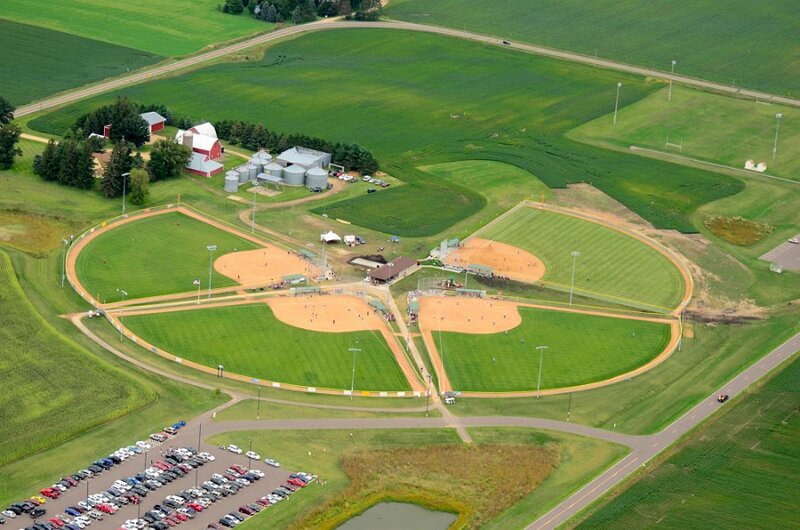 Thank You, to all participants, spectators, advertisers, umpires, and volunteers, as we strive to make Sandquist Family Park, the best ballpark, in the State! See ya in 2012!